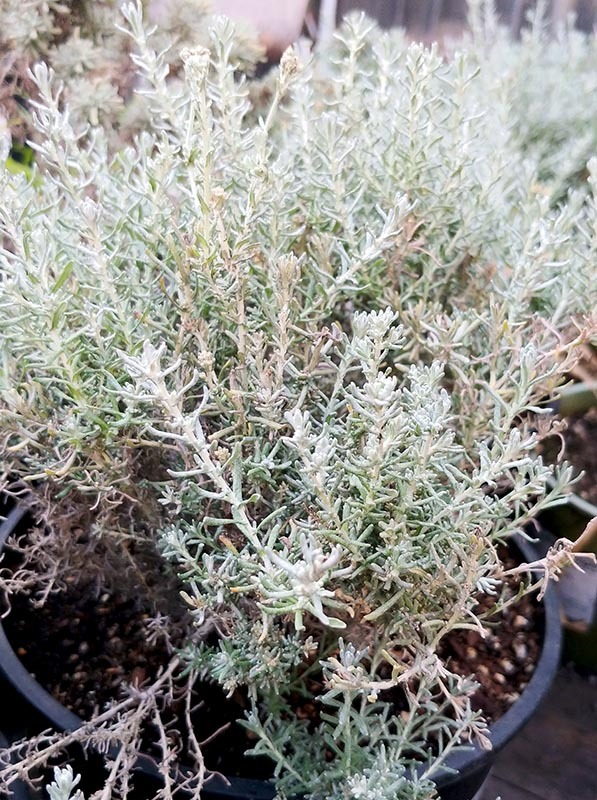 Compact shrub with fragrant grey-green foliage. Yellow blooms summer through fall. Deer resistant, great for borders, and attracts bees and butterflies.